New! Sign up online to volunteer. Click here! Our homes are built almost entirely by volunteers. Skilled or unskilled, we need your help! 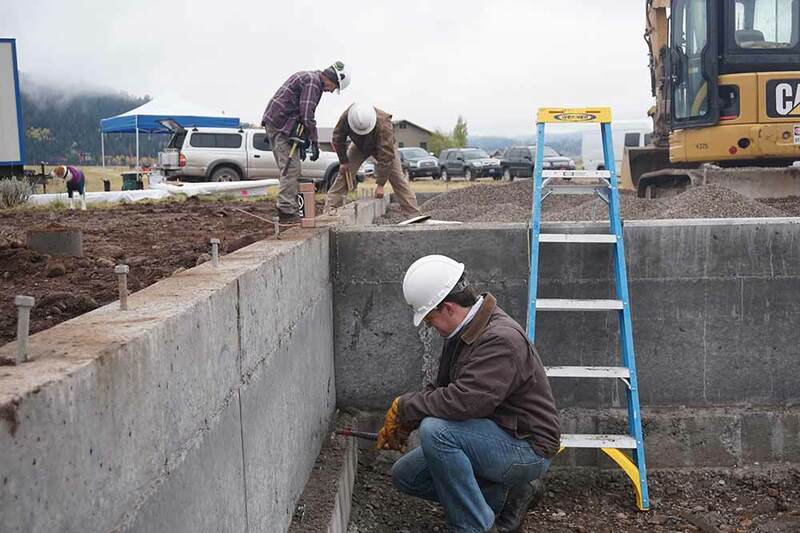 Lend a hand and learn new skills while lifting others up, Teton Habitat has all the tools you need to succeed. Strengthen our community through the creation of homeownership opportunities for qualified deserving families. Teton Habitat builds with volunteers every Wednesday, Thursday and Saturday from 9 AM- 4:30 PM. Sign up online as an individual, email volunteer@tetonhabitat.org to schedule a team build or call Elizabeth Ferguson, Outreach Coordinator at 307-734- 0828 ext. 102 with any questions. Click here for more details on current projects. What type of work will I do at the construction site? No! It’s great if you have it but certainly not a requirement. Teton Habitat will give you all the tools and training you need for the task at hand. Be prepared to dig in and get dirty! Volunteers should wear clothes they don’t mind to get dirty. Please dress appropriately for the seasonal Wyoming weather. Dress for the weather; bring layers of clothing for variable temperatures. First step! Did you sign up? Have you fill out an electronic waiver? Please bring your own reusable water bottle. Teton Habitat is dedicated to promoting sustainability and protecting the environment, we use every resource we can to eliminate waste from the landfill. We do have a water bottle refilling station on site! Please bring or make plans for lunch if you come to the jobsite for a full day. On occasion there is lunch provided on the jobsite, but plan to be prepared!